Enjoy the best inspirational, motivational, positive, funny and famous quotes by Alex Raymond. Use words and picture quotations to push forward and inspire you keep going in life! I decided honestly that comic art is an art form in itself. It reflects the life and times more accurately and actually is more artistic than magazine illustration - since it is entirely creative. 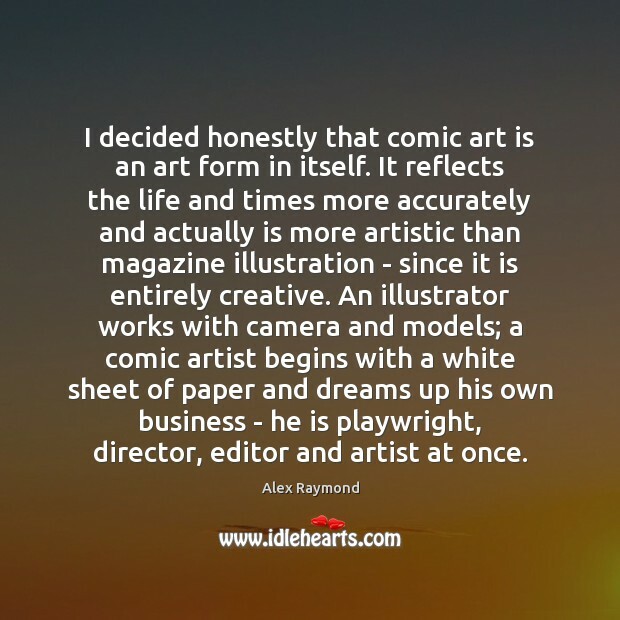 An illustrator works with camera and models; a comic artist begins with a white sheet of paper and dreams up his own business - he is playwright, director, editor and artist at once.